Update: Read what Ad Age had to say about it. We’re super excited to announce another world-first Internet of Things collaboration to digitally transform the Consumer Packaged Goods industry. We’ve partnered with WestRock (NYSE:WRK) one of the global leaders in paper and packaging solutions and Digimarc, the inventor of imperceptible barcode technology, to create a connected packaging solution which allows global brands across Food and Beverages, Retail, Beauty and Personal Care to leverage digital capabilities built into their products’ packaging at source and at industrial scale. Under the partnership, Westrock will use their digital printing capabilities to serialize billions of individual packages, in-store signs and retail displays, adding Digimarc barcodes that are integrated into the EVRYTHNG Smart Products Platform. Each physical item comes with an Active Digital Identity™ (ADI) in the cloud, making it capable of triggering and driving unique digital applications and experiences when scanned by a smartphone. Transforming billions of paper-based consumer packaged goods into real-time, intelligent and interactive digital assets opens up enormous, transformative opportunities for manufacturers. It drives end-to-end transparency across supply chain operations, improves retail performance and increases brand loyalty through direct 1-to-1 consumer engagement. On top of that, it unlocks new levels of retailer, shopper and consumer insights in the process. Brand Content: provide real-time information on ingredients, recipes, product origins etc. Traceability: brands get end-to-end lifecycle product data through the entire supply chain from sourcing, manufacture, distribution, in-store and at home. Product Quality: serialization of packages enables authenticity, expiration and recall automation. Product Reordering: consumers use their smartphones to reorder products and access similar products that they may want to purchase. As many global CPG brands wrestle with how to use IoT to digitally transform their business, EVRYTHNG have been laying the foundations that are going change the face of the industry forever, with today’s announcement yet another milestone. We’ve already switched on the Apparel industry thanks to our partnership with Avery Dennison which will see at least 10 billion apparel and footwear items being manufactured with a digital identity. And partnering with Crown, we’re digitally transforming the Beverages, Food, Health & Beauty and Home care sectors market by IoT-enabling billions of products produced with metal packaging each year. Consumer products of all shapes, sizes and materials are now being #BornDigital™. It’s a change that is happening fast! Read more about the#BornDigital™ revolution in The Financial Times and Forbes. 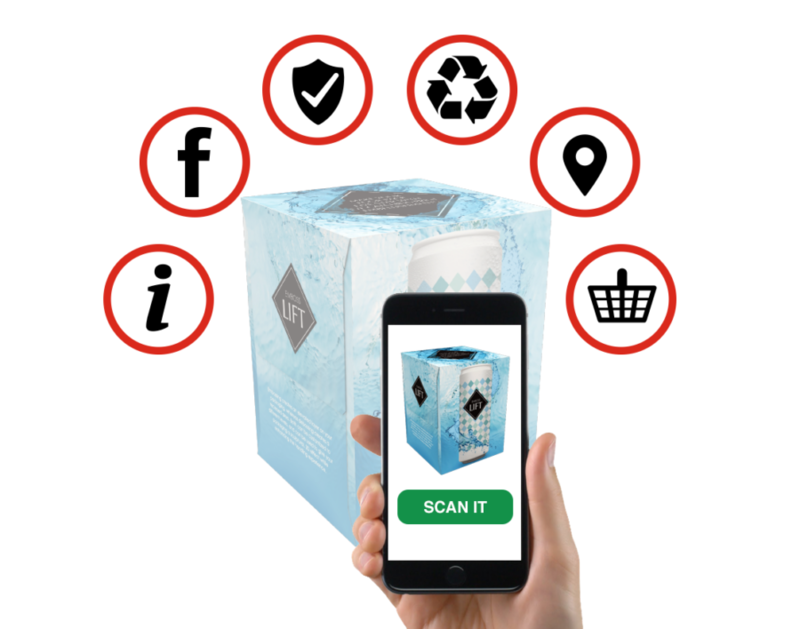 Together with Westrock and Digimarc, EVRYTHNG will be demonstrating our Connected Packaging solution at the National Retail Federation’s (NRF) Annual Convention & EXPO on January 15-17 in New York.